Whenever I'm looking for something new to sew for the little girls I seem to be a complete sucker for something a little vintage. 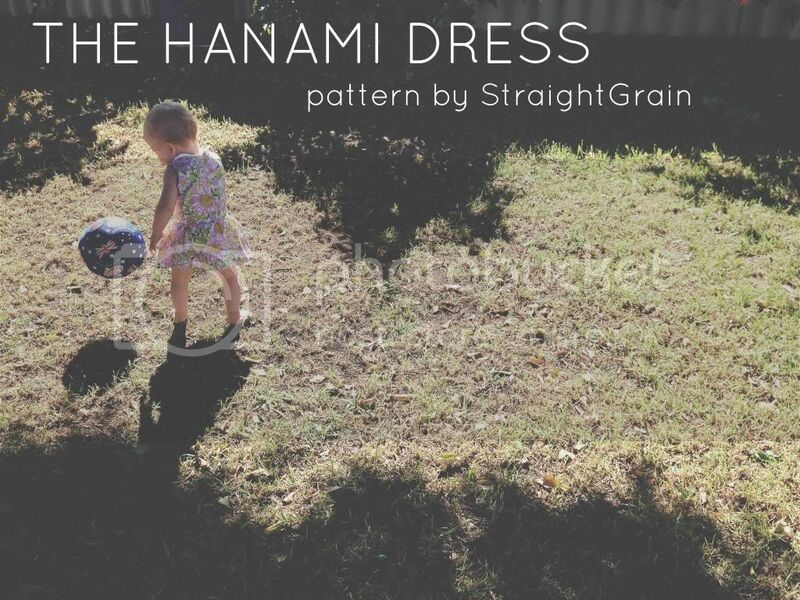 My latest hunt saw me looking for something with a peterpan collar which I think looks just too sweet on little girls, what I found was the Hanami dress by StraightGrain patterns. Truth be told I am embarrassed by how long it took me to finish these. Not due to the pattern makers fault but my own bite-of-more-than-I-can-chewitis. I had these cuties cut up and ready to sew since November eek! They were supposed to be Christmas dresses but Little B was going through a "I don't like any colour but pink" moment and this is honestly the most festive looking fabric she would agree to. 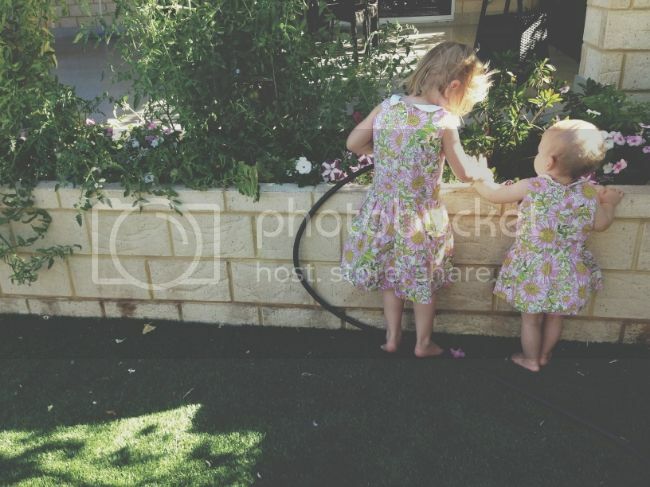 I was also feeling a little guilty about the fact that I have made my girls matching dresses, something I never thought I would do HOWEVER word on the street is this is totally ok (plus Little B just loves matching her sister). I liked that I was forced to revisit the invisible zipper here, I'm not great at them but it did occur to me I am never going to be any good at them unless I keep practicing. In the end I am actually pretty happy with my efforts here. As Ally isn't walking yet confidently I have taken her dress right up for now but there is plenty of hem to let it out once she gets her baby waddle down pat. 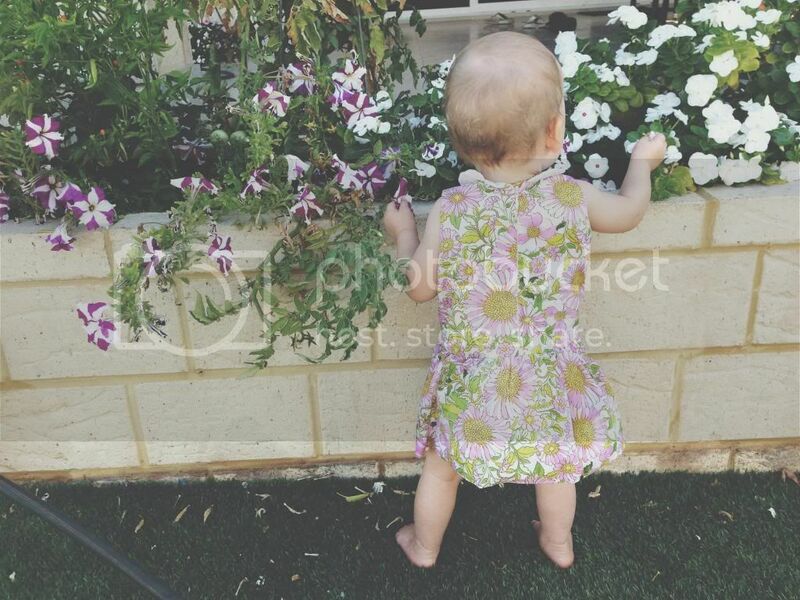 I was thinking of doing a bit of a mash up of the Hanami and the Tinkerbelle romper from Felicity sewing patterns to make it a little more crawling bub friendly but thought it might be better to master the pattern on its own first. 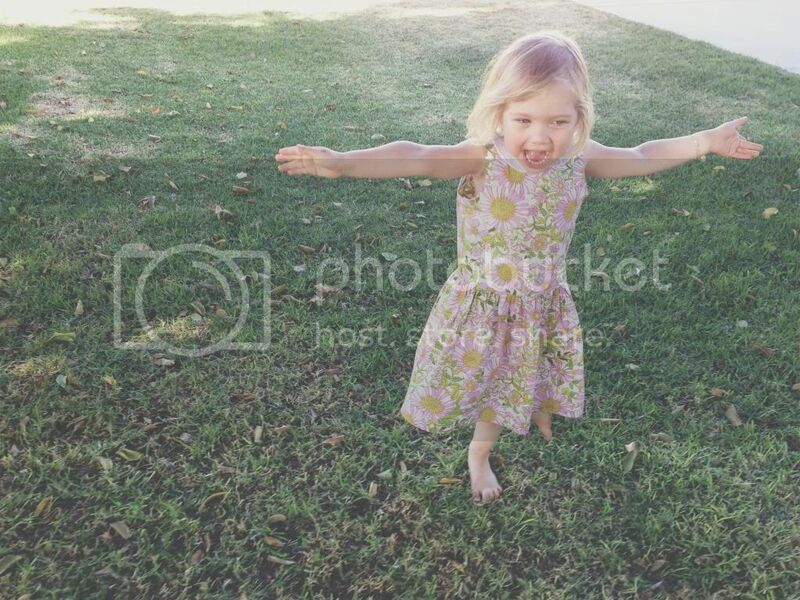 I really liked the Hanami dress by StraightGrain patterns, and B likes wearing it (Ally was just as happy to get around naked) so I think this one is a winner yay! P.S If you have any pattern recommendations I would LOVE to hear about them! 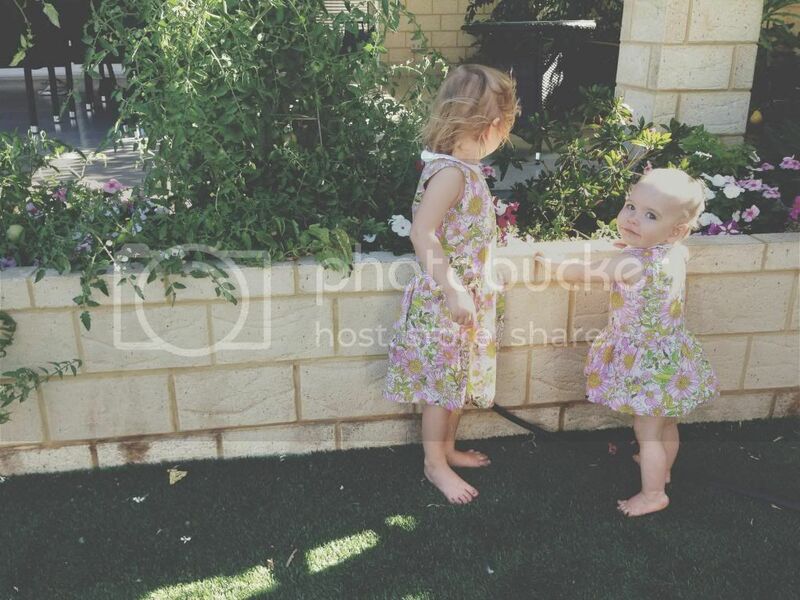 Beautiful girls and the dresses are fantastic, I am so impressed! I'm teaching myself to crochet at the moment too, it's addictive! What beautiful girls you have! And the dresses are very pretty. 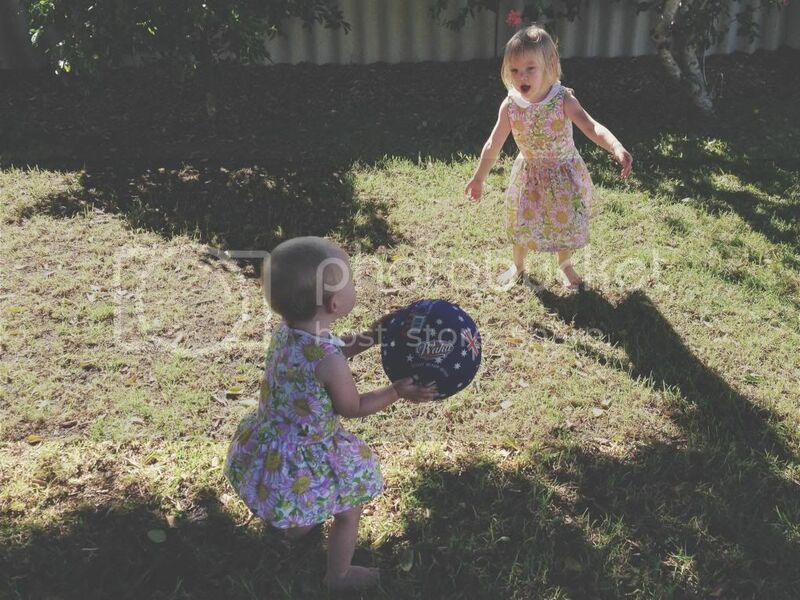 I'd love to sew more for my three little daughters, but I think finding the time while they're young enough to enjoy wearing the clothes I made them is quite a challenge!